You don't have to shell out a lot of money for a Halloween costume for your children. 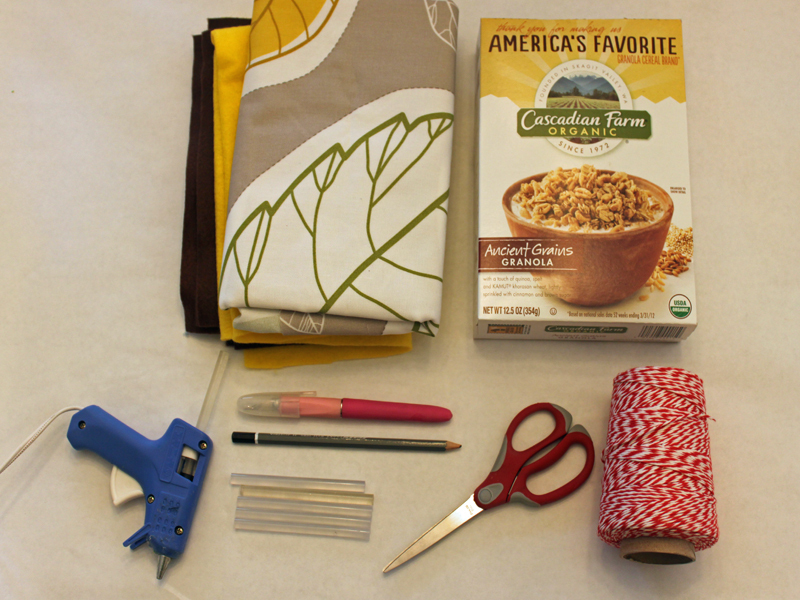 If you aren't crafty, you don't have to slave over a sewing machine for an entire weekend either. You can make a simple, fun Halloween costume for your children by creating a festive mask that will take center stage. Once you have created the mask, you can pull an entire outfit together by adding coordinated clothing to the costume. Your child will look adorable, you won't spend a dime, and the environment will be thankful that you reused those cardboard and fabric scraps. 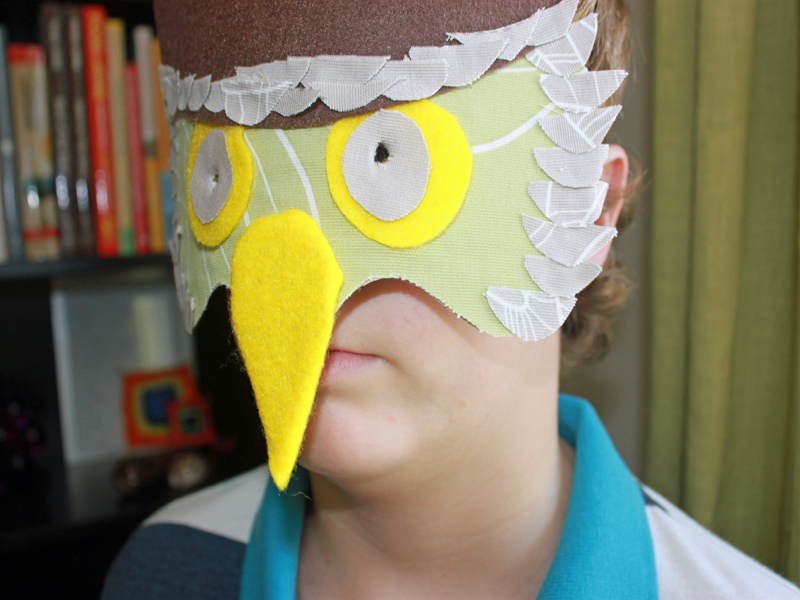 Read on for simple directions on how to make your own recycled owl mask. The fun part about this project is that your children can get as creative as they like. There isn’t a template, so it gives them creative freedom to create a cat or owl the way they see it. 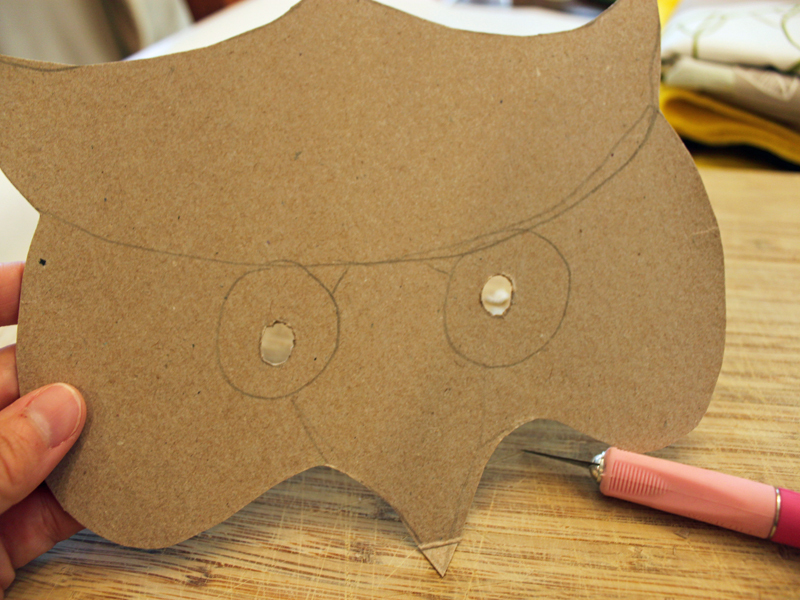 Cut a piece of cardboard to fit the size of your child’s face, mark where the eye holes will need to be made. (I used an empty cereal box). Cut out the mask shape and use your craft knife to cut out the eye holes — you can layer the cardboard to make the mask more three-dimensional. Decide what fabrics you want to use for the animal’s fur. I used a combination of plain recycled fleece and other patterned fabric remnants. Then start to add it piece by piece to the mask cut out. 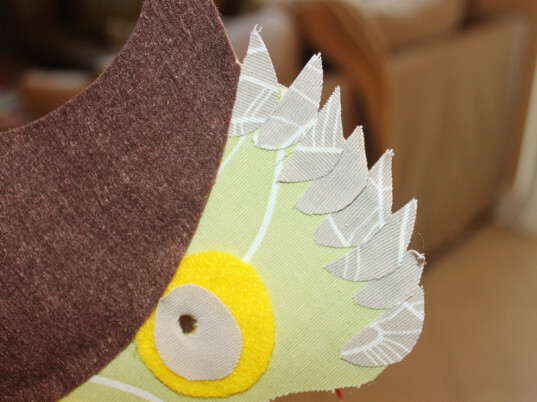 Use hot glue to secure the fabric to the cardboard mask. I mixed up my fabrics to give the masks texture and interest. Your child can decide which fabrics look best together and go with it. If you would like, you can use found items such as feathers as added details. 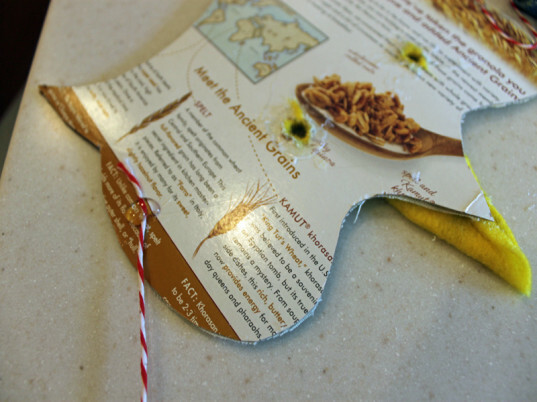 Simply hot glue them and add them to the mask. Cut a piece of fabric or twine to fit around your child’s head, glue the ends to the back of the mask, leaving enough length to tie the mask around your child’s head. 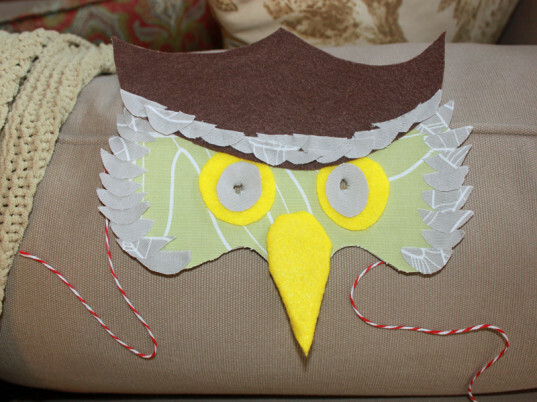 Add your “new” recycled animal mask to a coordinating outfit and your child will be the cutest owl or cat on the block! The fun part about this project is that your children can get as creative as they'd like. There isn't a template, so it gives them creative freedom to create a cat or owl the way they see it. 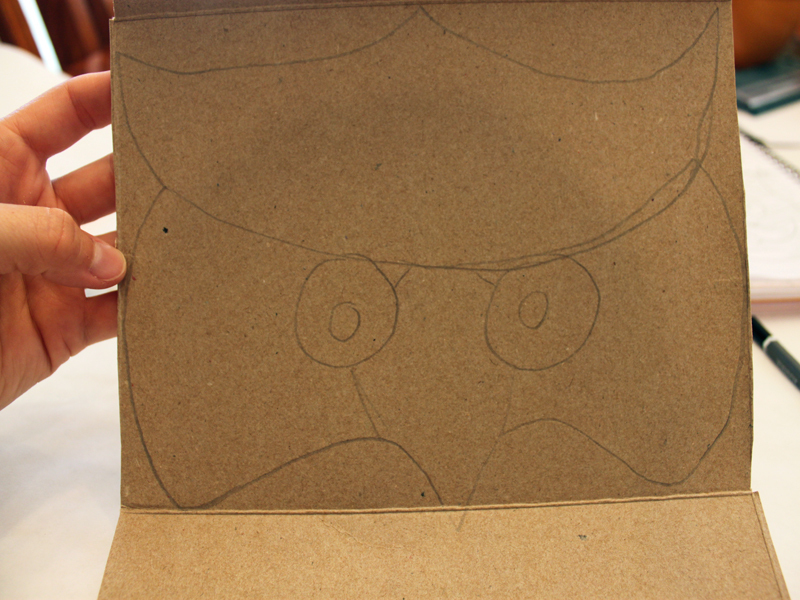 Cut a piece of cardboard to fit the size of your child's face, mark where the eye holes will need to be made. (I used an empty cereal box). 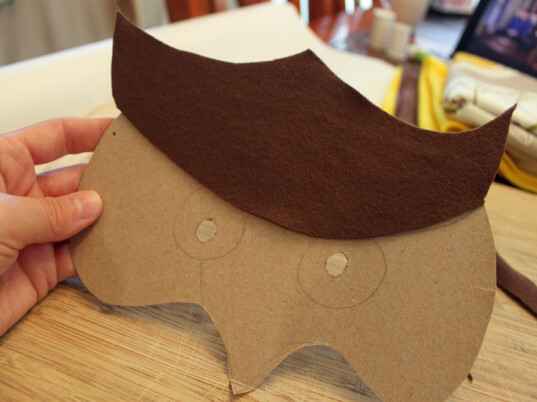 Cut out the mask shape and use your craft knife to cut out the eye holes. You can layer the cardboard to make the mask more three-dimensional. Decide what fabrics you want to use for the animal's fur. 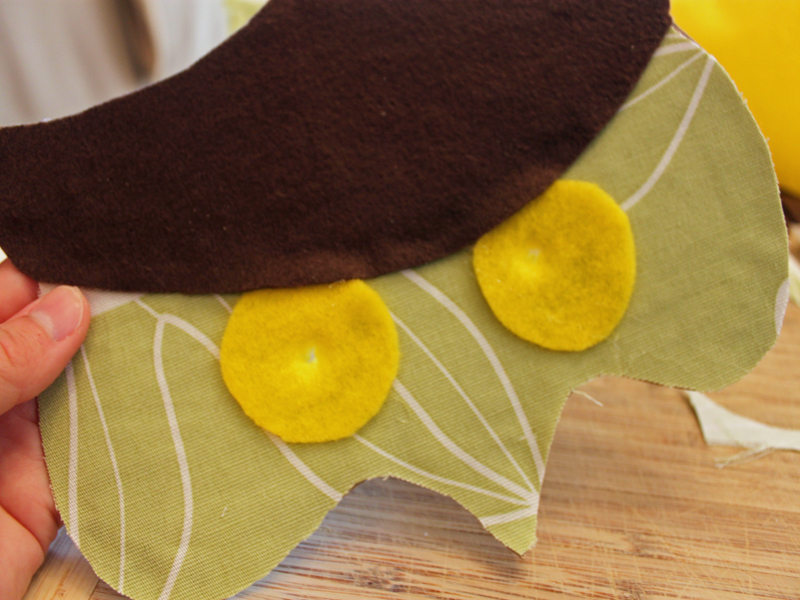 I used a combination of plain recycled fleece and other patterned fabric remnants. Then start to add it piece by piece to the mask cut out. Use hot glue to secure the fabric to the cardboard mask. I mixed up my fabrics to give the mask texture and interest. Your child can decide which fabrics look best together and go with it. Cut a piece of fabric or twine to fit around your child's head, glue the ends to the back of the mask - leaving enough length to tie the mask around your child's head. Add your "new" recycled animal mask to a coordinating outfit and your child will be the cutest owl or cat on the block!